Two beautiful people, two warm and welcoming families, friends intent on having a fabulous day, all in a wonderful setting and blessed with stunning spring weather...what could have been better! Simply Stunning! There are many venues I look forward to working at and Packington Moor in Lichfield is certainly right towards the top of that list! Emma + Nathan first came to me for their wedding after receiving a recommendation from one of Nathan’s work colleagues Jared – who married Sally at Packington Moor a couple of years ago – and had a further affirmation from Bill, another of his work colleagues who married Julie at Packington last year…finally being recommended once again by my brother who also works with Nathan – definitely a SSW love-in! When I first sat down with Emma + Nathan and talked about the plans for their wedding I knew it was going to be a really special wedding to be part of, and with the additional surprises on the day it really was taken to another level! From the choice of the fabulous suits from Kevin Paul Menswear to the matching colour scheme of the parents in the yellow and green to match the Bridesmaids, all however completely outshone by the stunning bride in her gown from Adele Louise! Blessed with beautiful weather from the start, the day could not have been more perfect. 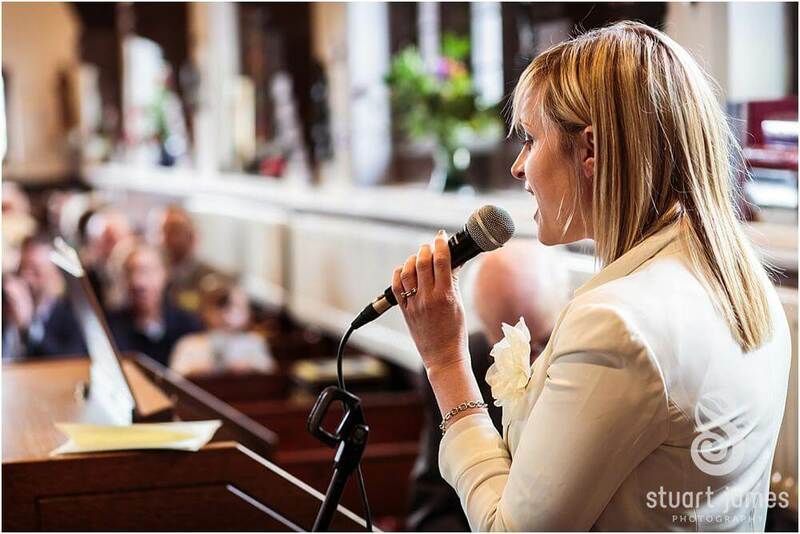 From capturing the final preparations of the boys alongside the first of the three camera team from Blue Ridge Wedding Videographers, through the morning with the bride and the girls to a church I had not had the pleasure of working at for many years, St Johns in Heath Hayes. From the church it was on to the reception at the stunning Packington Moor, but in stunning and surprise transport for the guests – a RML Double Decker bus providing the “Wedding Special” – whilst the bridal party was transported in a trio of stunning wedding cars from Platinum Cars. The surprises for the guests were not finished there however, as to accompany their champagne drinks reception, there was live music from the fantastic Ben Drummond. I’d actually had the pleasure of working alongside Ben a few months ago and he really is a top entertainer! However, the biggest surprise for everyone during the day had to be the Singing Waiters from The Three Waiters! As a wonderful surprise to everyone, Chris + Rob had planned for the appearance by the waiters who really took everyone by surprise – especially the Bride and Groom! I have seen a similar act before, but it has to be said, these guys were something else! Absolutely fantastic entertainment!! It also has to be said the barn at Packington Moor looked quite spectacular. The creativity and attention to detail from the team at Imagine Invites brought Emma’s vision of gold candelabra, charger plates, cutlery and glasses and tied in the theme with some gorgeous flowers to life. Simply stunning! From the speeches, which were a blast to photograph and capture the reactions, to the evening reception the day flowed perfectly. It was fabulous to have the night in the hands of one of the best DJs in the region – Rich from RGPromotions. A truly fantastic DJ who has to be one of the smartest too! The day really could not have been more perfect from start to end. Emma + Nathan’s spring wedding at St Johns Church + Packington Moor really was stunning to be part of. Finally from me a special thanks to the team at Blue Ridge Wedding Videos – you were a pleasure to work alongside! 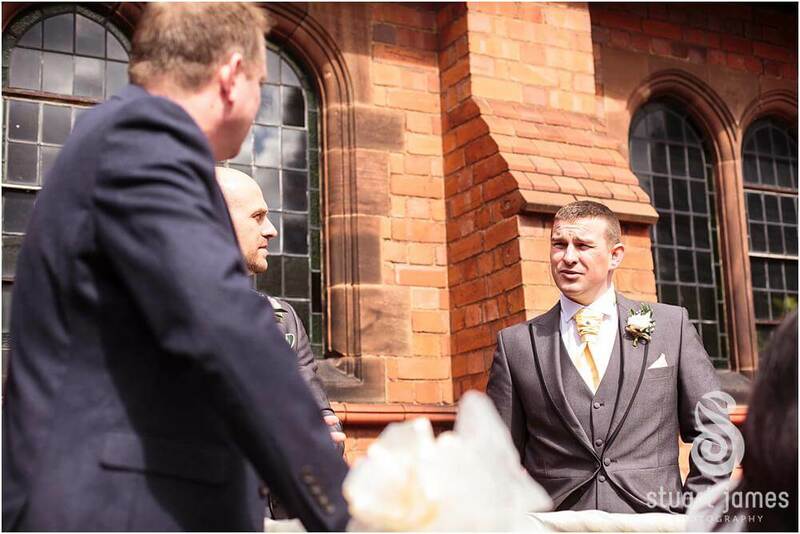 Here is a look at Emma + Nathan’s wedding story by Lichfield Wedding Photographers Stuart James. Emma + Nathan – a sincere and heartfelt thank you for inviting me to be part of your Packington Moor wedding and to entrusting the capturing of your wedding to me. It was a true pleasure to be part of everything with you all. 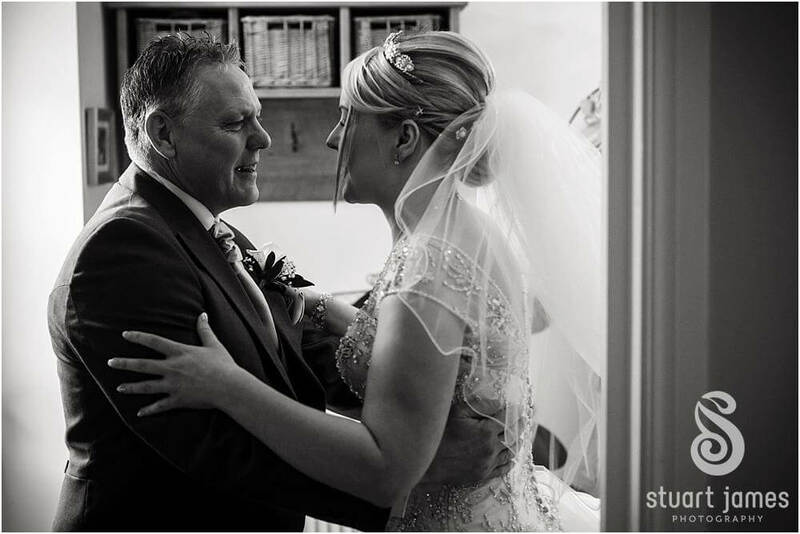 To see more featured weddings from Packington Moor Wedding Photographer Stuart James, click on the button below.